Holy smokes, this is going to be a great one! 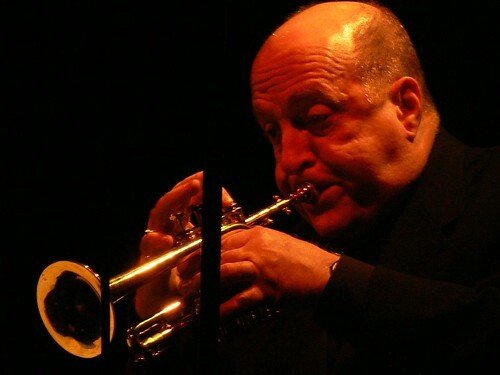 We are welcoming back the great Lew Soloff to MSM and we couldn’t be more thrilled. Lew gave one of the best performances in the history of our jazz festival the last time he visited in 2004. He is not only a trumpet player of tremendous talent, but also someone who brings some of the best music you will hear performed by a big band. Click here for the write-up by the UH Communication School’s Mike Emery. Friday evening’s concert will showcase The Texas Music Festival Jazz Project, a big band made up of Texas-based jazz professionals, while Saturday evening’s performance belongs to Lew Soloff with the MSM Jazz Orchestra. * It promises to be an exciting event full of masterful musicianship, education and great jazz. If you are a student, teacher, professional musician or just a jazz fan we guarantee that you will not want to miss this weekend’s activities! The Moores School of Music Jazz Festival features performances from middle and high schools throughout the day as well as two free clinics with Lew Soloff and the Jazz Orchestra at noon each day. No admission fee is required to observe these school performances or clinics. *Purchase tickets to all evening events by clicking here, both concerts will start at 7:30p.